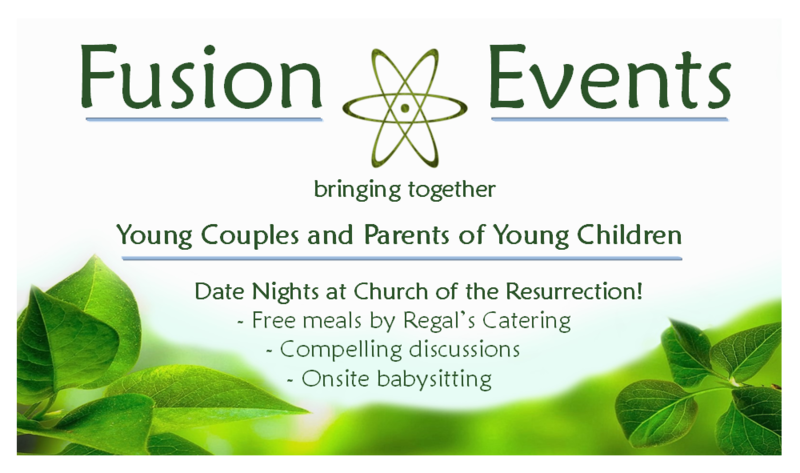 Fusion is your opportunity to get to meet and mingle with the couple who sits across the pew from you. Once month during the school year we treat you to a catered dinner while a guest speaker shares reflections on relationships, parenting and Christian living today. Food, activities and day care are provided in rooms next door.